You have found the "SECRET" hiding place of the Jelly Babies. Put your mouse over each JELLYBABY to find out their name. These are the "JELLABIES". 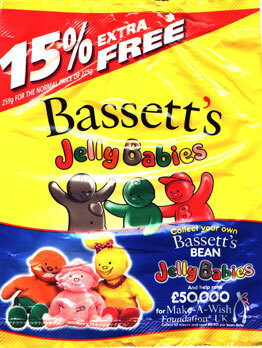 They are the cousins of the "JELLY BABIES". They are a happy, boucy, lovable bunch who live in Jolly Jelly World - that's the magical world at the end of the rainbow.